Jim Herrington's award winning book The Climbers started out with a simple idea. Herrington, a music photographer by profession, set out to photograph two of the only surviving climbers from the early Californian scene from 1920s, Glen Dawson and Jules Eichorn. Himself a keen climber in the High Sierra, Herrington chose those two as significant figures in his local history. He comments that the original premise was to "do a short series on Sierra climbers". 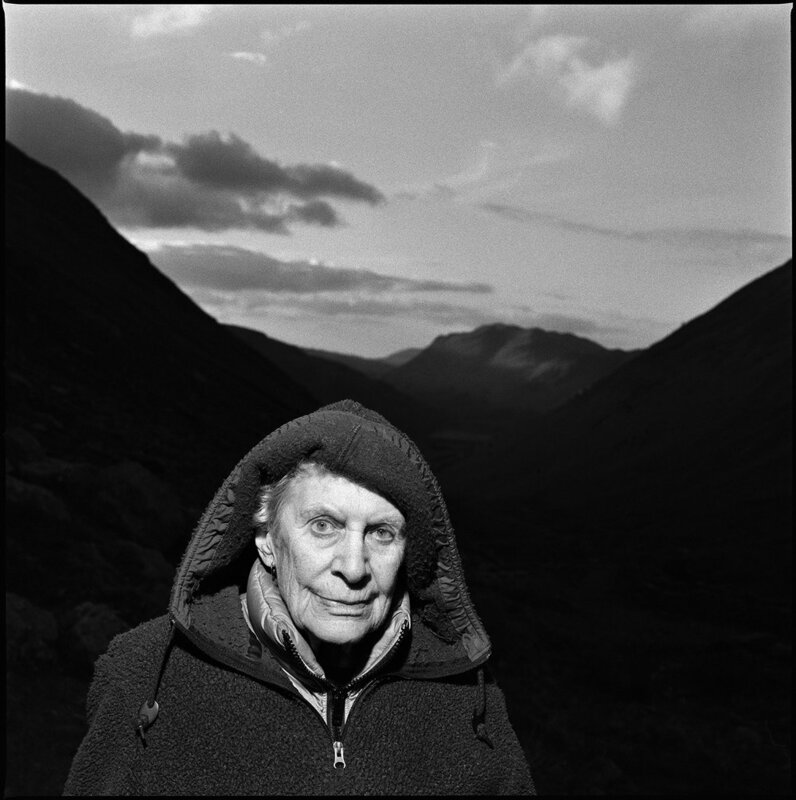 But what started out in Dawson's house in 1998 grew in scope over the following 18 years to a worldwide quest to photograph some of climbing's most iconic protagonists from the 1920s to the 1970s. We have all had good ideas but it takes a certain level of commitment, and dare I say it, obsession, to pursue an idea like this to its conclusion. We are indebted to Herrington for his persistence and vision, as we are left with a truly remarkable body of work: A set of portraits of characters from a golden age in climbing's history, from a period of time where climbing was finding it's feet as an activity, as a sport and as a way of life. These climbers were discovering what was possible, what the rules were, how far things could be pushed. Discovering where climbing could take you. These are the people who with their incredible ascents shaped the pursuit we take for granted today. Yet the climbers here are not portrayed as supermen and superwomen. All now in advanced years, the facade of invincibility that youth often brings is gone. Age makes it clear that we are all on different tracks to the same ultimate destination. 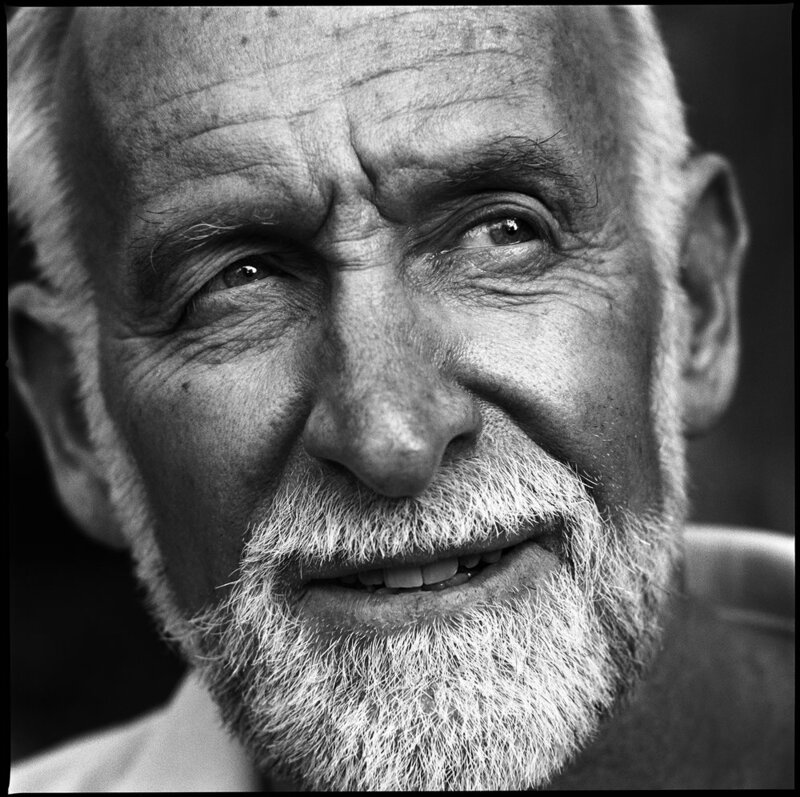 With this in mind, Herrington's portraits convey a tremendous sense of dignity, humanity and often fragility. 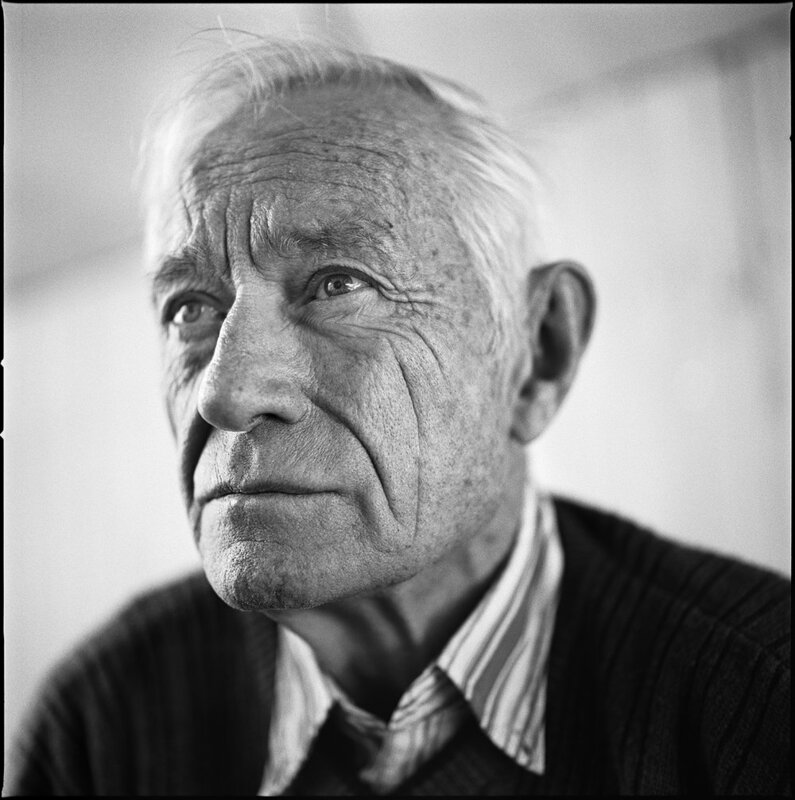 Italian alpinist Riccardo Cassin was close to the end when Herrington photographed him in 2009, aged 100. Cassin had a remarkable life by anyone's standards, having made iconic ascents in the Alps during the 1930s, and later fought for the Italian Resistance in WWII. He would later return to his namesake route, the Via Cassin on the Piz Badile to reclimb it aged 78. It is difficult to imagine what it was like to make the first ascent of that route, with clothing and equipment rudimentary alien to us now, and to have two of your companions perish finding a way down. Yet we see Cassin as a centenarian, sat in his chair surveying the world outside an open window. We might easily recognise in that scene echoes of our own families. We can relate to that familiar situation, and we know that as our own relatives live on in our memories and their influence on us, Cassin and his contemporaries live on in their legacy left to climbing and its rich history. In his book Jim Herrington takes us through his quest to photograph these pivotal figures in climbing's history. Along they way we get a glimpse of the enormity of the task, not least because his subjects often had the unfortunate habit of passing away before he managed to track them down. Not all were caught in the nick of time as Cassin was. But Herrington carried on, with increasing urgency as the years progressed. His details the highs and lows of his search; those he missed, those in rude health, and those in their final days. Although characterised by their age, most still convey the passion of youth, something of their inner drive and fire. It's impossible not to be taken aback by Herrington's cover shot of aerial photography pioneer Bradford Washburn, with his steely gaze giving a hint of the grit and determination required on his early exploration and ascents of high Alaskan peaks. Accompanying Herrington's images is a lengthy history of that golden age, by accomplished writer and climber Greg Child. This is an engaging read and one which really gives tremendous context to the images. The backstories behind the well known and more esoteric faces in the book are fascinating. The legendary epics along with the less well known tales and Child's personal reflections and anecdotes. The groundbreaking ascents, the near misses in the mountains. Tales of survival and suffering, and of joy, friendship and conflict, the full rollercoaster of emotions we all know that climbing can deliver. Regardless of how well you know your climbing history there is bound to be something here that will have you scurrying off to find another book or two to read further. Conversely you actually don't have to know anything about the era in question to enjoy this book, which, really, is one of its triumphs. It's impossible to read this book and the history behind these faces without it being painfully obvious that for every survivor who lived to a ripe age there were many who didn't—their contemporaries who were lost to the mountains and never returned. Those who didn't escape the attrition rate of that era of exploration, climbing and mountaineering. It makes you realise what a knife edge some of these early iconic ascents were poised on, how slim the margins were at times, how much was sacrificed. When Herrington initiated this project there was only one choice for photography: Traditional analogue film. Herrington chose to work in black and white. Most people back then will have had a favourite emulsion and developer or two, and stuck to them, often for decades. These days digital, whilst undeniably offering more creative options, has muddied the waters somewhat. But Herrington chose to complete the project on film, just as he started it, equipped with his trusty Leica M6 and 1957 Rolleiflex. This choice I think is key to the consistent look and feel of the images, despite some being taken decades apart. Often working with available light, or with considered use of flash, the images do not carry a hallmark of any particular gimmick or trend, nothing that could pin them stylistically to today, or last year, or ten years ago. Rather than dating the images to a particular point in time, this approach actually gives a refreshingly enduring feel. One issue for Herrington was the worry that the manufacturing of film would die out before the climbers did, which at one point seemed a very real prospect. Happily this turned out to not be the case, and the the established traditional technology of silver gelatine film, and the chemical permanency it brings with it, does seem an appropriate choice when trying to capture that golden age generation for posterity. The climbers may be in their final years but are mere spring chickens compared to the technology of analogue photography, itself around 200 years old. We have photographs from the dawn of photography which we can still view, yet can we honestly say with any certainty that we will be able to access our digital files in 20 years time, let alone 200 years? We hope so, but it is untested, and inherently transient. But the persistence of the physical silver image, in contrast, seems a fitting medium with which to capture these characters from the history of climbing. They say you should never meet your heroes, for fear of disappointment. Most people never will meet their heroes, but Jim Herrington has met many. He has probably met yours too. For me what makes this body of work special is that he doesn't attempt to put these climbers on a pedestal, does not deify them. They are presented as what they are: Just ordinary people, susceptible to the passage of time as we all are. They could be anyone's parents, anyone's grandparents. But they are ordinary people who have done extraordinary things, and as Alex Honnold points out in his foreword, in that there's something a little inspiring. The Climbers is available here, published by Mountaineers Books of Seattle, WA.